California is where the Silicon Valley is situated, and another one is coming—the Silicon Sky. 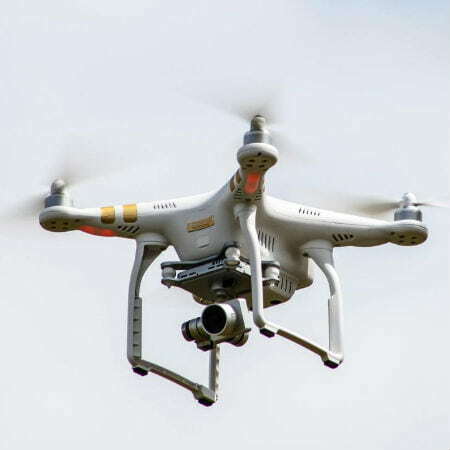 The registered number of drones in California is the largest for both commercial and recreational use. Five months ago, the FAA drone advisory committee declared that all owners of drones that weigh more than .55 pounds should register. Now the government made public the two databases containing all the drones registered for commercial and leisure use in the United States. 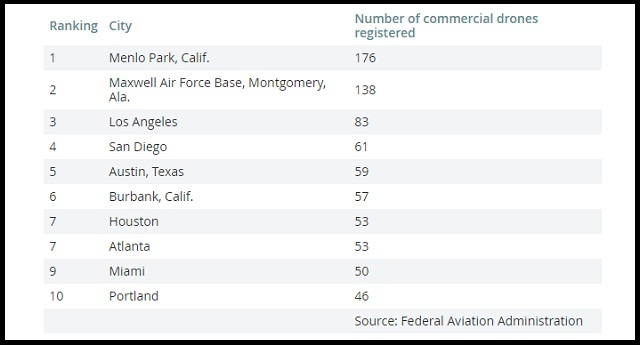 Based on the record, there are 176 registered drones in California, particularly in Menlo Park. Remarkably, Menlo Park is the home of Facebook Inc., which has its own drone. Start-ups like Matternet, a drone delivery company; Kespry, commercial drone manufacturer; and Skydio, established by a group of scholars from MIT and Google’s drone group, the maker of smart GPS-guided drones that have collision avoidance capability, all reside in this city. Other places that made it the list are Maxwell Air Force Base in Alabama, Los Angeles, and Burbank where many of the drone users are crews shooting Hollywood films. 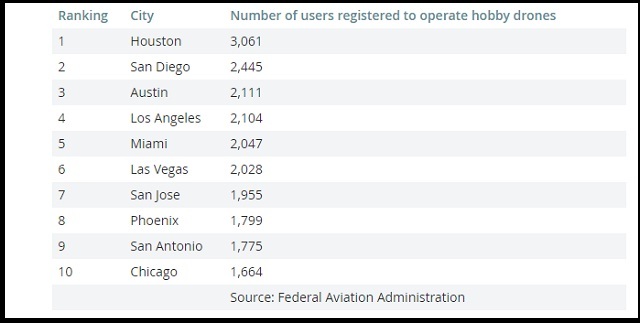 As for the city with most number of drones for recreational purposes, Houston is on top of the list with 3,061 registered leisure drone users, and it’s also one of the top 10 cities with the most number of registered commercial drone owners. According to the founder and CEO of Trumbull Unmanned, Dyan Gibbens, Houston ranking high for the use of commercial drones is not surprising at all as it has strong energy sector. Trumbull Unmanned utilizes GPS-enabled drones for mapping, scanning, and monitoring mostly in the energy sector. One of their clients is Chevron Corp. Using drones in gas flare inspection costs less both in terms of money and time than using a scaffolding or a ladder truck, says Gibbens. Almost half a million drone owners have already registered as recreational drone flyers since the registration started in December, and the industry is still growing. 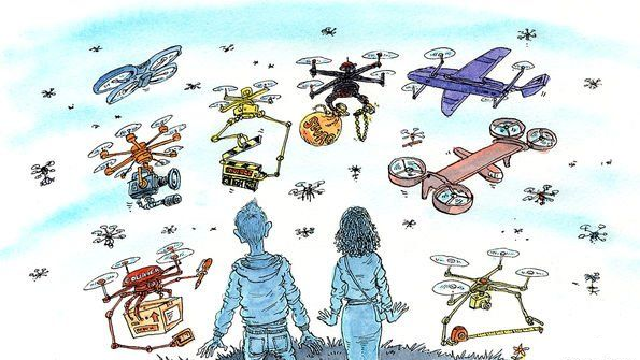 According to Goldman Sachs’s report in March 2016, the drone industry is expected to increase from a $1.6 billion market last year to a $3.3 billion market by 2020.